This ever-growing series consists at the moment of a total of 61 recipe photographs. Each image presents the ingredients, the steps and the final dish. 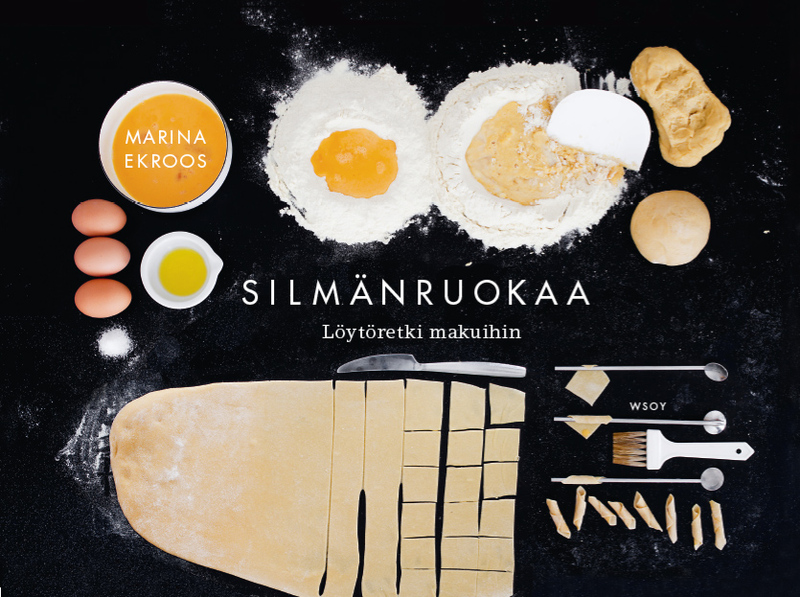 The works have been published as a photography cookbook in Finland (WSOY) and will soon be published in Taiwan (I’m Publishing Co). The project started from my wish to depict and tell the story food has, to inspire people to think about the core essence of it. In each photograph I aim to respect every single step: food is not just the bites we eat but it has its own story to tell. Among other exhibitions, Visual Recipes have been exhibited in the Young Artists 2014 exhibition in Helsinki Kunsthalle and were a finalist for the bi-annual Fotofinlandia prize in 2014.